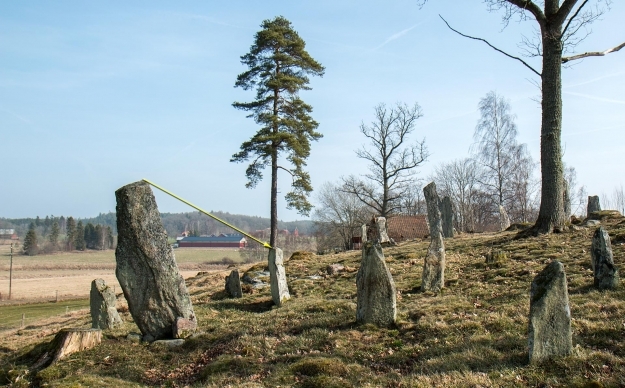 On the summer solstice the shadow cast by the higher stone moves across the lower stone, which stands 2.4m away. The gradient of the top of the lower stone is in good alignment with the sun’s path. The big adjustments makes it impossible to decide if the sunline shows exactly the correct day. Since one stone is leaning and its height has been changed the shadow will not be in the correct position today to show the summer solstice.